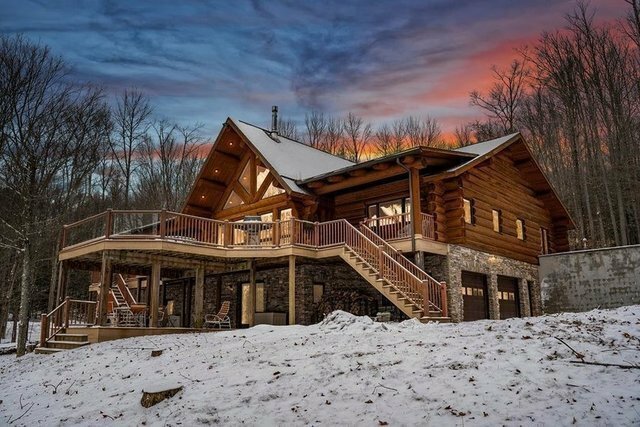 Live the log home dream in this custom built Montana Log home! This stunning home is situated on over 50 acres with a beautiful pond view that you get to own with boat and dock access in front of your home! Inside you'll find four bedrooms and three fulls baths with a breathtaking master suite that's equipped with a Jacuzzi room.Outside you have two detached garages, one large enough to fit an RV, Home was meticulously built with hardwood flooring, wall paneling, and kitchen cabinets sourced from the very property it sits on.